Sharing books on my winter reading list. I hope everyone is well and warm. Especially warm! I thought I’d share my winter reading list with you today, instead of doing the classic Sunday reads post. Because these books will be my Sunday reads, or daily reads, for weeks to come. In my effort to read more, especially more fiction, I bought myself a few books. Some are more wintry than others, but all seem perfect for these (almost) winter evenings when it gets dark so soon and it’s so cold all I want to do is just stay inside under my blanket. You’ll notice that some are very specific and Christmasy, so basically perfect to get me into the festive spirit. And others are more year-round books. But for some reason I think thrillers are the perfect cold weather books, when I can hide between all the pillows as I read through pages filled with suspense. Now, I haven’t read any of these yet, so I have no opinions to share (yet), but I am so excited to start reading these, especially over the holidays! 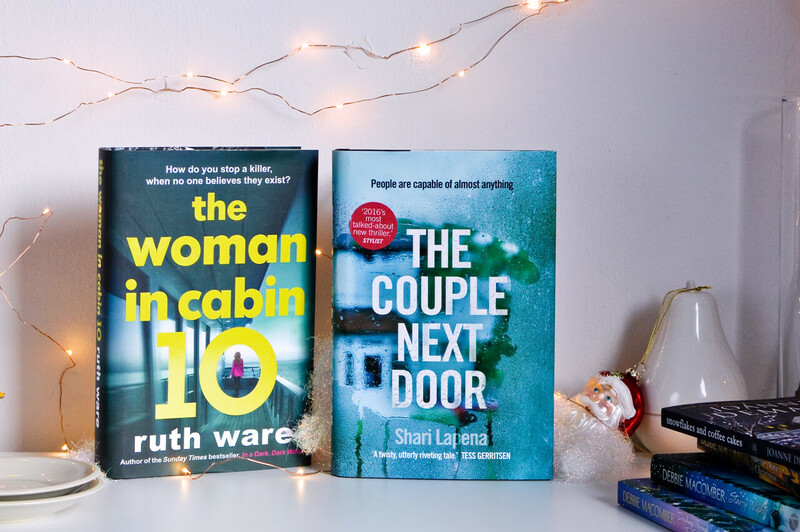 1) The Woman in Cabin 10 by Ruth Ware – I read In a Dark, Dark Wood and I really enjoyed it, so I think this one will be a hit too. It’s about a journalist that goes on a cruise, for work, and sees a woman being thrown overboard, … I mean, the whole stuck-on-a-ship thing is scary enough to me. 2) The Couple Next Door by Shari Lapena – The title alone got me with this one. The couple next door? What about the couple next door? – Anne and Marco Conti seem to have it all—a loving relationship, a wonderful home, and their beautiful baby, Cora. But one night when they are at a dinner party next door, a terrible crime is committed. Suspicion immediately focuses on the parents. But the truth is a much more complicated story. 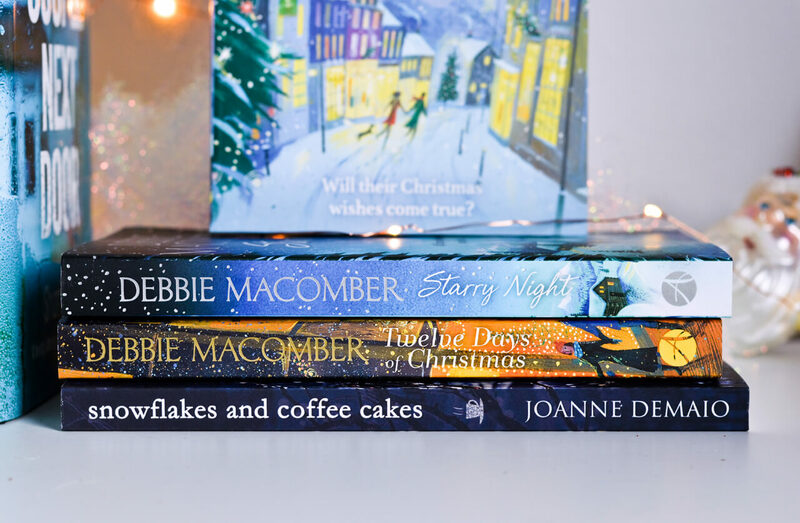 1) Snowflakes and coffee cakes by Joanne DeMaio – Again with the title! I want snowflakes and coffee cakes in my life! And I enjoy rhymes. And I’m obsessed with New England, which I should get a lot of according to the description: Reluctant to leave her cherished New England hometown after her sister’s winter wedding, former journalist Vera Sterling makes a sudden decision. She takes what’s left of her severance pay and invests it in real estate … in one particular drafty colonial home and old timber barn set upon the pretty banks of Addison Cove. 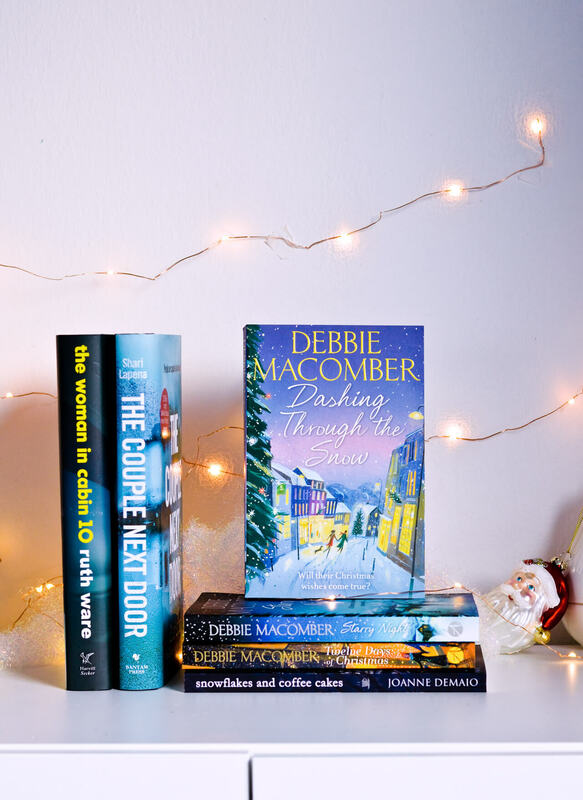 2) Twelve Days of Christmas by Debbie Macomber – The latest book in Debbie’s Christmas series. I haven’t read that much by her, but what I did read was more summery, so I look forward to reading her Christmas novels. The book promises romance, hope it delivers just that! 3) Dashing Through the Snow by Debbie Macomber – Another Christmas novel with a beautiful cover. I just adore the festive covers, they instantly put me in a better mood. I am looking forward to all the Christmas magic and charm in this one. 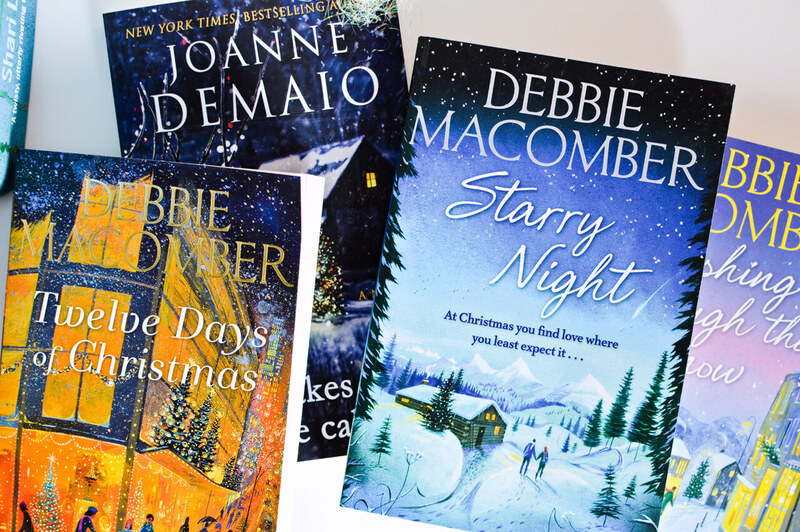 4) Starry Night by Debbie Macomber – A story about a columnist named Carrie that flies out to Alaska to get an interview with a reclusive author names Finn. Sound intriguing. I sense sparks flying. Let me know if you have any books on your reading list! I’d love to know.